The PL Mudcats hosted the St Patrick Irish in DRS White Division action Sunday 5/4 and enjoyed a dramatic 2-1 win. Jake Schmidt (SP) & Ryan White (WP) combined to hold the Irtish to 6 hits while the Mudcats posted 7 rips. Casey Johnson had 2 hits & 1 RBI for the locals and Greg Faue & Noah Rezac each doubled and scored. Faue scored on a wild pitch in the bottom of the 9th for the Mudcat win. The PL Jays opened 2008 by hosting the Winthrop Eagles in River Valley League action Sunday 5/4. The Jays swarmed for 6 runs in the first enroute to an 11-1 win in 7 innings. Marshall Mullenbach picked up the win yielding no runs or hits, 1 walk and striking out 3. Jesse Sheidecker threw the 6th and 7th frames allowing 1 hit, 1 walk and 3 strike outs yielding the lone run for the Eagles which was not earned on an error. Adam Cress was 3-4 with a double and scred 2 runs while Dusty Olynyk helped pace the Jays offense going 1-2 with 3 walks and 2 runs scored. The Mudcats return to action at St Benedict in DRS Action Saturday 5/10 at 2PM and return to PL Sunday 5/11 for 1PM DRS White Division action with the Union Hill Bulldogs. The Jays will follow the Mudcats hosting the Gaylord Islanders at 430PM. 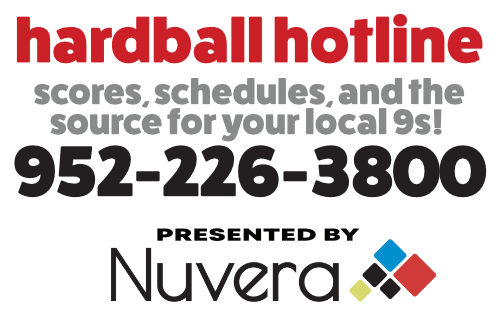 For the latest on your local 9&apos;s the Integra PL Hardball Hotline 952-226-3800 & www.priorlakebaseball.com will have the latest.